So you’re ready to start your new online business. Give yourself a pat on the back as this is one of the easiest paths to entrepreneurship with the lowest start-up costs. Even better, e-commerce offers very high potential returns on investment, high profit margins, and the ability to live and work anywhere in the world. It’s not like the opportunity to make money online is over either. According to industry watcher eMarketer, e-commerce spending reached nearly $2 trillion in 2016 worldwide, representing about 8.7 percent of total retail spending. As you can see, there is still plenty of room for new Internet entrepreneurs to get in on the action. But first things first. If you want to start an online business, you need a website. This will be where you market your business and products on the internet. How you communicate with your prospects. How you convince them to become customers. It’s the basis for all your online marketing efforts, no matter if you use email marketing, paid advertising, social media marketing, or whatever. This site can also be an online storefront where you can offer physical products or information products for sale. One thing you might overlook if you’re thinking you can simply sell products through sites eBay or ClickBank. When people in your niche search Google or another search engine for products like those you sell, you need a website to ensure that they come across your business in the search results. The great thing is you can set up a website that does everything you need without having to hire a web designer, which can be quite pricey. In fact, you can create your own customized website yourself for free. And I’m going to tell you all about the resources you can use to do it and what steps to take to make it a reality. And don’t worry, you don’t need to be a tech genius, coder, or programmer to do it. 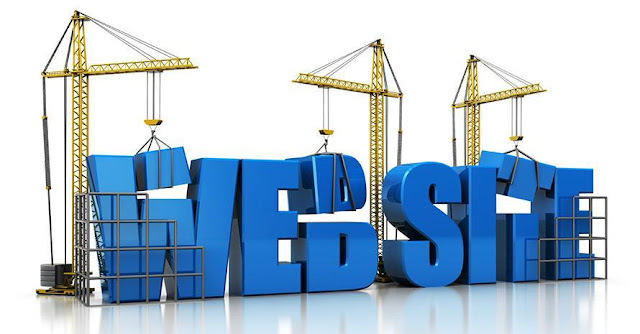 There are plenty of programs, called website building software or content management systems, that make it possible for anyone, no matter their background or experience, to create, update, and maintain a website. A website makes your business legitimate and provides you with a platform to become successful. And if you’re worried that a free solution will mean that you look unprofessional or that your site will look a million others out there… never fear. These free programs allow you to customize the look and feel of your site — you’ll be unique and your business will stand out. Oh, and the site will look great on mobile devices too. This is key as the number of people surfing the web on a smartphone or tablet overcame desktop computers in 2014. And around 30 percent of e-commerce sales are done from mobile devices now. Now, let’s get started building your website. Your first step is choosing the free website building program that’s right for you. You have some quality choices. The number one thing to look for is if it will support your business goals. If you plan to have an online shopping cart, use it for marketing purposes, and all that — you must make sure the content management system can handle. Fortunately, that’s not a problem, as even free solutions offer e-commerce support. Hands down one of the best free web design tools is WordPress, which is an open source software, created by a nonprofit company. You can download it for free here: www.WordPress.com. WordPress is a very versatile tool which can be tailored for streamlining your online business. But here are some similar resources you can take advantage of to create your free website. Each has a unique interface to set up all the elements of your site. Just follow the instructions. These solutions also offer free hosting, which is what allows your site to “live” online. You do have to register and set up an account. Note: While this article focuses on free resources, if you have a commercial intent to make money with your website, then I'd seriously consider getting your own paid hosting account and utilize your own self-hosted WordPress solution. Once you’ve determined which content management system you’re going to use, it’s time to set up your web address. This is how people will find you online, so this is not something you should not take litely. The name should be attention-grabbing, memorable, and related to your business. It also shouldn’t be too long. You want to make sure it’s easily sharable by word of mouth offline and online, through social media. And it should be easy to type in a web browser. Once you’ve settled on the name, or better yet, a group of names, you try to register it. Hopefully, it’s not taken! That’s why you should have alternatives in mind. With these free programs, you’ll usually have their name included in your web address, as in the example above. You can later register a paid domain if you’d like to change this in the future and have only the “.com” or suffix attached. Fortunately, with any of these content management systems, you don’t have to settle for the default layout, colors, or fonts. There are templates you can use to radically alter the look of your site and make it unique, as well as ways to tweak the pages in more subtle ways. For each web building solution above, there are dozens of templates available. Overall, remember to keep things simple. You want your website to be easy to navigate and use. A great way to test this is to have a friend or relative visit your site and give you feedback. The most important things you want to get across to your customers — what will sell them on you — should be “above the fold,” so they do not have to scroll down to see it. In this vein, it can be a great idea to include a headline at the top of your site, something that quickly tells the prospect what you’re all about. This could even be more prominent than your business name. About page — tell your story and background so that the prospect comes to know, like, and trust you. Proof — include testimonials, positive reviews, industry awards… anything that backs up your claims about your products. Big noticeable buttons for buy buttons, email signups, and other calls to action. Make special offers very prominent and noticeable. Include a “menu” at the top that allows a web surfer to see what’s on your site at a glance. And to make sure that the search engines like Google notice your site, and place it higher in the search rankings, you should also regularly add content, including written content like blog posts and videos. You want to become known as a trusted authority in your niche. This also lets the prospect get to know you. Of course, the design should be appropriate to your business. If you’re selling information products, say a travel guide to Italy, you don’t want to have photos of the Grand Canyon. If you’re stuck for ideas, you can always “borrow” design elements from the websites of your competitors. You might feel overwhelmed at this point. But you don’t have to be. Just take the creation of your website a step at a time. Once you go live, you won’t have an overnight success. But follow the guidelines above and you'll start getting more website traffic to your online presence. Soon enough you’ll have an effective web presence — and constantly be adding new ways to make money online with your website.